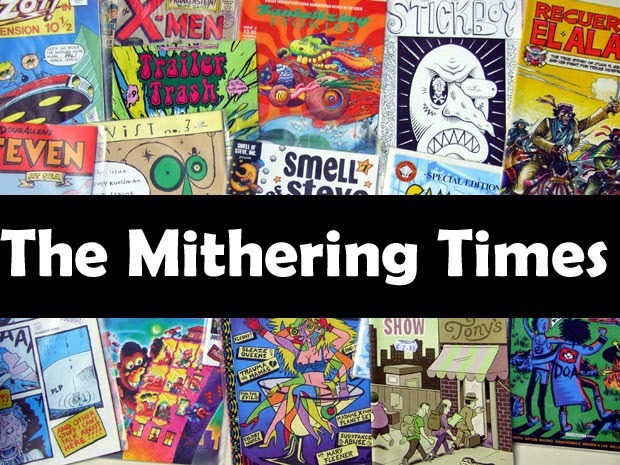 the mithering times: 4D (Fourth Dimension). Been meaning to post this for a while; an appropriately gimmicky tribute to Frank Sidebottom. 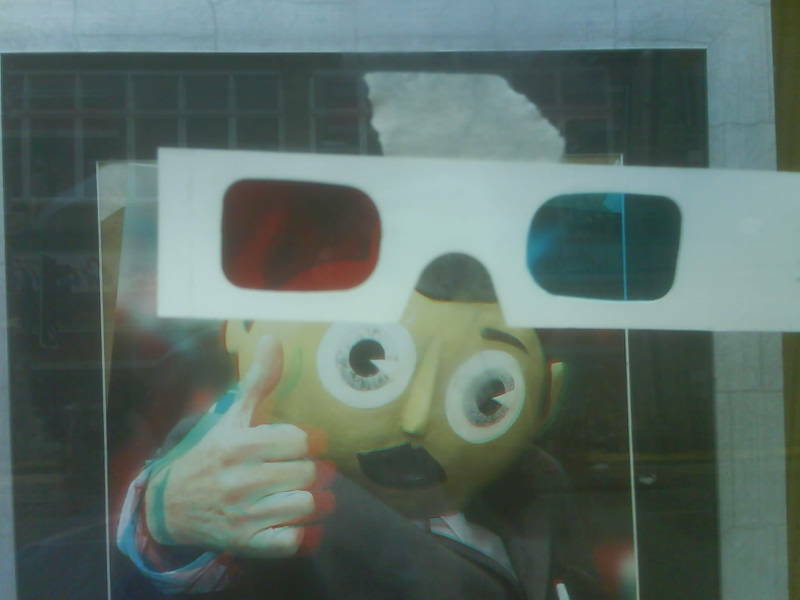 3D picture in shop window with the glasses taped to the glass. I'm sure he would have approved. Hiya. I ended up here via clicking links on Twitter to Manchester Art Gallery to Jim Medway to you, and saw you live in Prestwich. I live in Prestwich. Isn't life weird?